"Thanks" to my Culture Bully compatriot Jon Behm, who took this photo of an advertisement while gallivanting through Buenos Aires. Click on his name to see more cool shots. But yo, what is going on? Is this some kind of message? 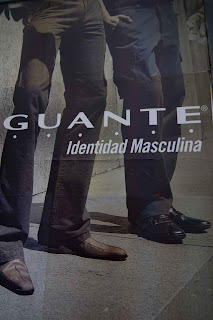 Should my next album be called "Identidad Masculina?" Wouldn't THAT be something.